Shively Hardware sells farm equipment, snowmobiles, tires, and lots of parts for all the machines they carry. 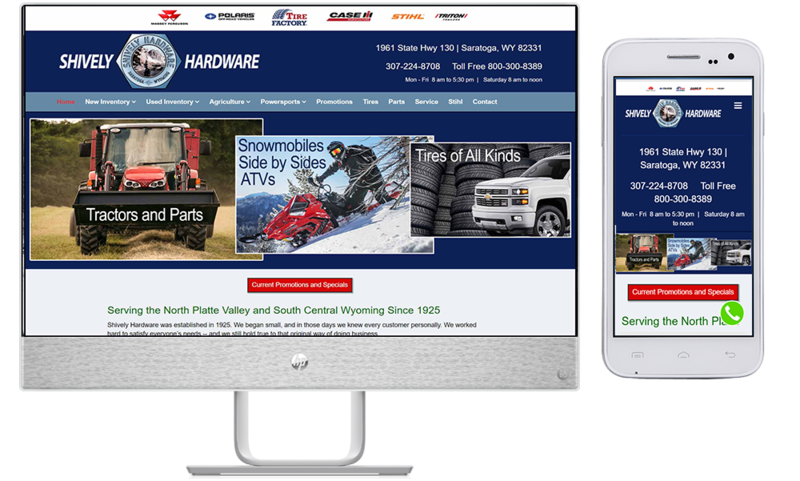 But because they're located in a very small town in south central Wyoming, they need to reach out to customers in the entire Southern Wyoming-Northern Colorado region. We built them an extensive site, complete with inventory pages and informational pages. We included videos and downloadable product spec pages. This is an ongoing project, with a lot of SEO work involved, as well as a commitment to constantly revising the inventory images and descriptions.